The HR Heads Career Profiling Series | We speak with HR Leaders to find out what 'a typical day in the office' looks like, what they consider their greatest career success to be, the advice they'd give their 20 year old self and much more... Our October Big Interview features Elliot Seymour, Human Resources Director at Aspire Defence Services Ltd.
Can you tell us about your journey into HR? HR is actually my second career! I began my working life in retail as a Salesperson pulling Saturday shifts at Dixons. Over the years I transitioned into a permanent member of staff before being promoted to Deputy Management, Management, and finally Superstore Management. However, one day I began to realise I’d lost touch with what I’d always wanted to do – work with people. I spent most of my days sat in my office looking at merchandising plans and stock sheets, and it occurred to me I had a choice to make – to stay in the job for the money, and the money was good, or to take a leap of faith and start my HR journey, which was all about people. So, I took a leap of faith! I went from being the General Manager of a Superstore, handed in my notice and accepted a position as HR Administrator. I took a pay cut of nearly 40%, started over and never looked back! So, from that first HR Administrator role, what does your HR career look like? It moved very quickly. I started as an HR Administrator but within only a few months I had been promoted to leading HR due to a number of departures. It was my first HR role, and I hadn’t been in it long when the Finance Director I was reporting into announced that all the funding was being pulled out of the company. We were told we had to present a strategy for winding up the company and making everybody redundant, including me! It was at this point I had my first contact with ACAS and proper Employment Law. I learnt a lot during that process – not only about the basics of redundancy and restructuring, but how to be really open and honest with people. The key is to tell people everything you can, not only what they need to know but also what they want to know, within reason, and as long as you do that – it works. It’s all about creating an atmosphere of trust. For me, it always comes back to why I joined HR in the first place – people. I have achieved my fair share of personal success through retail and my fast progression through my HR career, and now I’m at a point where I am able to achieve success through other people – whether that be through the teams that I support, through the business or the employees. I’m so passionate about that and I absolutely love that about my role. I help people grow and develop, teach them skills and I challenge them so that they can see rewards they never thought possible. I hope this will be my legacy. I’ve been around long enough in HR (17 years in fact!) that some of the people I brought into HR teams at the very beginning of my career are now in very senior positions. The person in my most recent role that I encouraged to take over from me on a temporary basis has now been given the job permanently. She never thought this was possible, but I always believed in her and I’m so pleased that she now believes in herself too. What does a typical day look like now you’ve joined Aspire Defence Services? Always interesting, and I think all HR professionals will tell you that no two days are the same, which is great! I’ve been with Aspire as Human Resources Director for 6 weeks now. It is a fantastic organisation to work for – a rare example of all the different departments within a company working together for the benefit of the customer. Before stepping into a new role, you have expectations about the company you’re going to join and your position within HR, despite the fact that the same HR role differs so much from company to company. Day to day within Aspire, I can be looking at some exceptionally challenging technical parts of the business one day, then addressing some fairly standard generic parts of the business the next. Most of our time, however, is spent working together with the business to better serve the end user. Six weeks in, you might have only just dipped your toe in the water, but what does the next 12 months hold in store for you? I think the next 12 months will be a really exciting time for me because we have the opportunity at Aspire to transform HR into a truly value-add, enabling service. I don’t like the terminology that HR is ‘an overhead’. An overhead means you can cut it and still provide the same service – you cannot do that with HR. It enables the business to happen – through recruitment, resourcing, talent development, the list is endless… Over the next year the team and I will be transforming our HR service into a true value-add, central part of the business that helps drive Aspire forward. The real role of the HR Director is to enable transformation, but many businesses never successfully achieve that, do they? No, they don’t, and businesses that don’t are missing a trick. A fundamental role of HR is presenting business cases that allow this transformation to happen to best support the entire organisation, and when those business cases are followed – great things can happen. 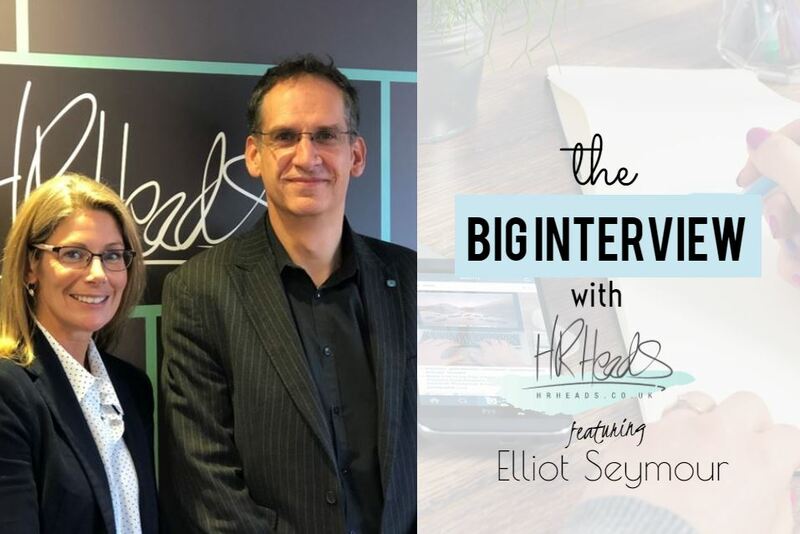 Looking at Elliot the person, rather than Elliot the HR Director – can you talk us through what has been the most impactful career moment for you? The most impactful moment for me took place in my retail days, when I was working at Dixons in Salisbury. I was fortunate enough to be working with a manager called Malcolm Broad – and Malcom was one of those relentlessly cheerful people that you meet, he was always smiling. At that time I was very junior in my career, a young 20-something, and I couldn’t work out how Malcolm could come into work every day being so cheerful and upbeat so one day I asked him outright. He said something so profound to me, which was – ‘because I choose to’. For me, it was one of the most impactful statements I’d ever heard because it is so true. You can choose what your behaviour and attitude is, how you portray yourself to people, and how you work with people. I’ve tried to live by that ever since. If you could give advice to your 20-year-old self, what would it be? Two bits of advice. Firstly, have more confidence and a lot more self-belief in yourself. If something you’re doing at work feels right and you always ask for feedback – then you can’t go wrong. Secondly, take more risks. HR can be very risk averse but if you want to achieve big things then you’ve got to take a leap of faith. You’ve got to have confidence in yourself to take that promotion or accept that job offer. Have belief in yourself that you can get there, because you can always learn how the role really works once you’re there! Is there anything you’re specifically passionate about championing in HR? I have been thinking about this for a while, actually. I’m very keen to keep championing HR as a central part of the business. I’ve met far too many HR professionals that just don’t understand the business they’re working in. For HR to function at its best and provide that expertise, I really believe they have to fully understand the wider business. What is really interesting is where HR sits on the board in some organisations, but it doesn’t automatically mean that it understands the business – sometimes it’s only there as a ‘keep me out of jail’ model and that’s such a waste! In your experience, what drives and motivates your employees the most, and how to you strive to provide this? I’ve met hundreds of people within Aspire Defence Services now, and what I find so inspiring is that absolutely everybody I’ve met is completely dedicated to the customer. I think this is one of the reasons why the Company is so well respected with the customer and the community – because being aligned with the end user is fundamental for business success. At Aspire, we’re all about brilliance of execution and delighting the customer with the value we offer. One of HR Heads core values is Exceeding Expectations, and I think this is what you’re talking about here – going that extra mile. Absolutely, it is an integral part of customer service. Good enough is not always good enough. We have to go above and beyond! I like to try and keep myself active, I think that’s very important. I’m also a big music fan – and I play in two bands! I’m part of a developing a band in Southampton called Nine Volt and my first band, The Sid James Experience, is London based and has been going since 1986. It’s a bunch of guys from school and me and has become quite a social element for us – we do know how to throw a good party! Getting everybody up and dancing is a fantastic experience. I was fortunate enough to get out to Florida this year and I just fell in love with the place. I’m on a bit of a health kick at the moment so salad is where it’s at right now. But my favourite food has to be a big chunky pie! Is there such a thing in Elliot’s life as work/life balance? Yes, absolutely. I’ve always been quite focussed on allocating my time effectively – work time is work time, and the rest of it is life time. If your time is all about work without any downtime, you can’t get any subconscious time. If you don’t have any subconscious time, then where does your creativity, innovation, pragmatism and reflection come from? All of that internal recharging activity can’t happen if you’re constantly focused on work. What 3 things do you consider make a phenomenal HR Director? A passion for people. For helping them achieve their true potential. It’s not just about fixing problems or the pink and fluffy stuff, it’s about pushing people from good to great. A passion for business. It’s so important that you understand the business you work in and are fully invested in taking it forward. Finally, you’ve got to enjoy it. You spend a lot of time at work, so in order to be successful you have to enjoy what you’re doing.